Or at least I have learned how it works. 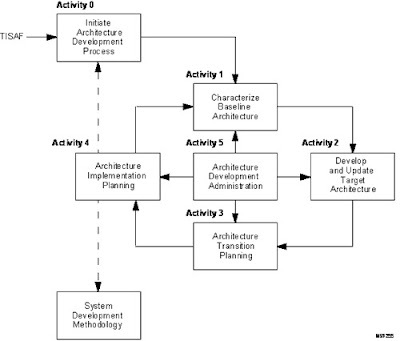 TISAF stands for Treasury Information System Architecture Framework, which was recently replaced by the Treasury Enterprise Architecture Framework or TEAF. We have spent the entire semester on it in my Enterprise Architecture class, which is definitely one of a few essential ones that I need for my IT career. Dr. Frank Armour teaches the course, and I'd highly recommend it. Here are some of the notes that I used to study for the final exam. What are the strategic business objectives of the organization? Are the applications to provide that data/information in place? managers, technologists and executives responsible for making decisions. However when I Start a project I do not need to do a lot of planning.The reason is because all my Building Planning has already been done. I use storage or those do it yourself shed plans, because I like things easy. That's right all my planning is done the second I choose the plan of my choice.Every new enterprise needs a strong and realistic business development. A good plan will help a business succeed, but it can be difficult to create a strong plan without the help of an expert.Be brief when writing the objective of your Bright Business. You should state exactly what your goals are with your business and what it is about. You should be able to tell people what you are all about and why you stand out.When you buy an established business Accurance the previous owner trains and prepares you for that business.